Getting locked out of your house or business is incredibly frustrating; it can be inconvenient, time-consuming, and very alarming if your keys have gone missing. At Locksmith Nottingham, it’s our aim to take the stress out of the experience and provide a reliable 24 hour locksmith service that you can trust to come to your aid any time of the day or night. No matter your residential or commercial lock or security emergency, as soon as you call Locksmith Nottingham, we will be right there with you as quickly as possible. 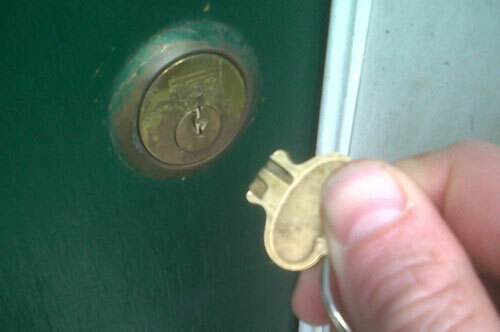 Old door, new door, or specialist door, if you’re locked out of your house or business premises, then a professional emergency locksmith from Locksmith Nottingham will be able to help you to gain entry as quickly as possible. We can open locked doors, inside and out, and replace any broken mechanisms on your doors, windows, or anywhere else in your home. By choosing our 24 hr locksmith service in an emergency, we’ll make sure that you gain entry to your property when locked out, and that your home or business is secure once more. At Locksmith Nottingham, we have experience working with a vast range of lock types & brands, so you can count on us to help you to gain entry when you’re locked out. Once you’re safely back inside your home, we can take care of lock repairs and replacements to re-secure your home or business. Being locked out can be stressful and the last thing that you want is to have to gain entry by destroying the door. So that you don’t have to worry about door replacement, at Locksmith Nottingham we make sure that we gain non destructive access. When you choose Locksmith Nottingham, you’re choosing a Nottingham-based emergency locksmith service that cares about your property and who always make sure that where possible, non destructive access is achieved. In an emergency, speed is of the essence, so you can rest assured knowing that as soon as the call is made to an emergency locksmith at Locksmith Nottingham, you’re local 24/7 emergency locksmith is going to be on the way. We don’t want you to be locked out for any longer than absolutely necessary – when we say that we offer a rapid response service, we really mean it. When looking for a local 24 hour locksmith service, you expect it to be reliable and trustworthy, and that’s exactly what we offer here at Locksmith Nottingham. We are fully insurance backed and DBS (CRB) checked for your peace of mind, as well as having years of experience providing professional locksmith services to the residents of Nottingham. If you require an emergency locksmith that will help you to gain entry to your home or business, through non destructive access, then call Locksmith Nottingham today – your emergency 24 hour local locksmith!